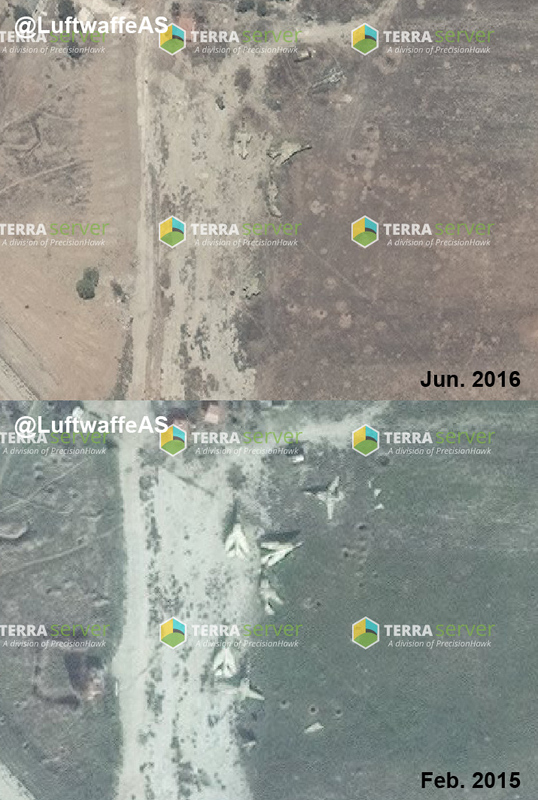 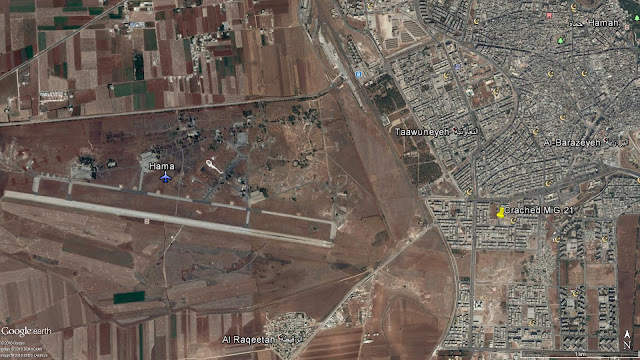 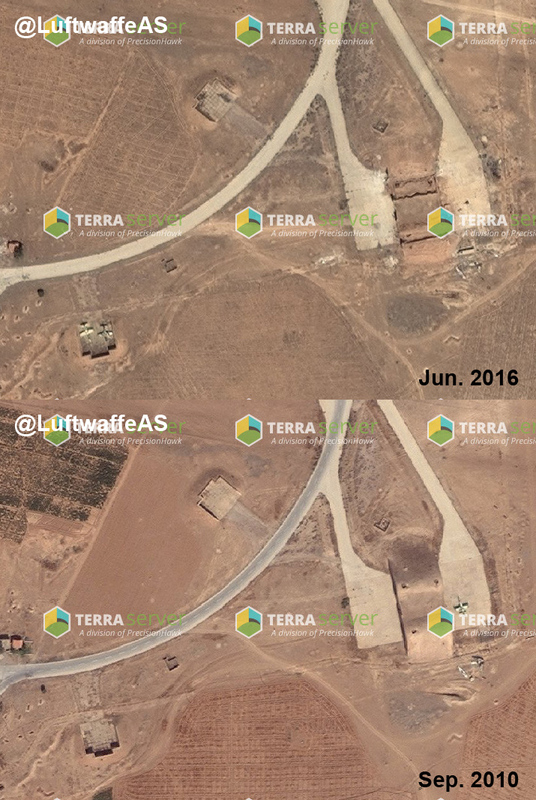 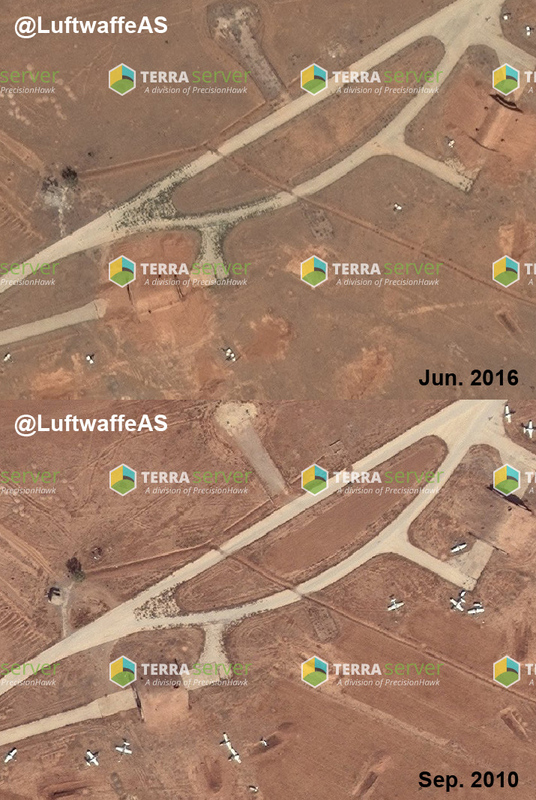 Few days back, TS (Terraserver) has published new aerial imagery for Kshesh airbase which was overrun by opposition on 13th Feb. 2013 and then was controlled by Jaish Al Islam. 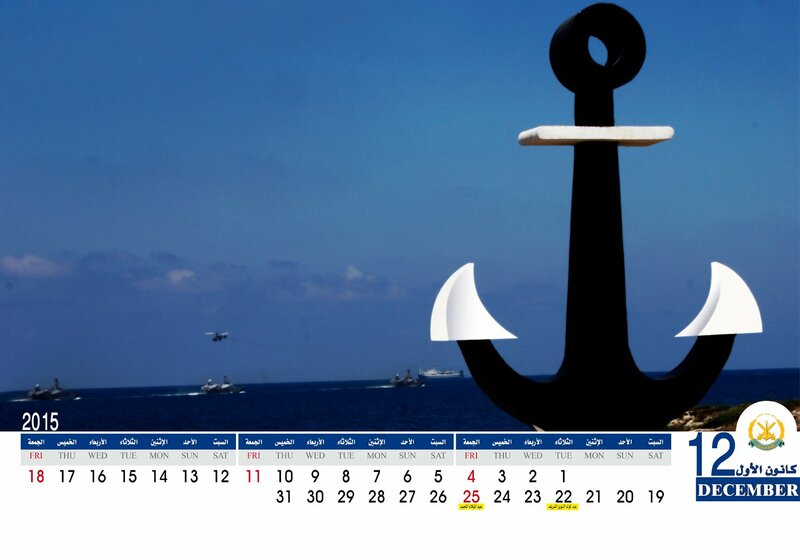 The imagery here is dated 26th Jun. 2016 in which we can see the mass chaos occurred to facilities of the air field; thus, I provided an earlier view of the same location dated Sep. 2010 for better comparison. 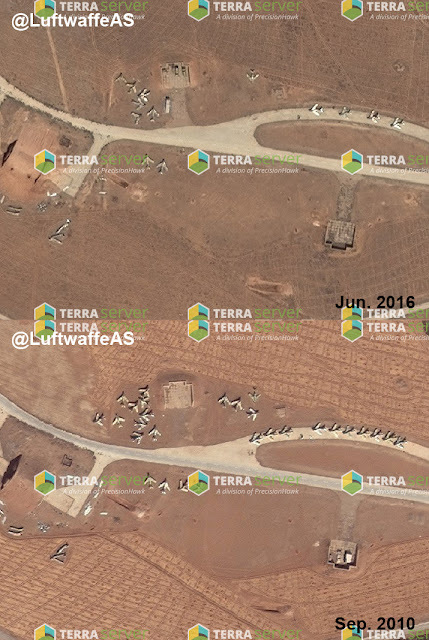 Around Fourteen MiG-15/17s were shifted from the boneyard. 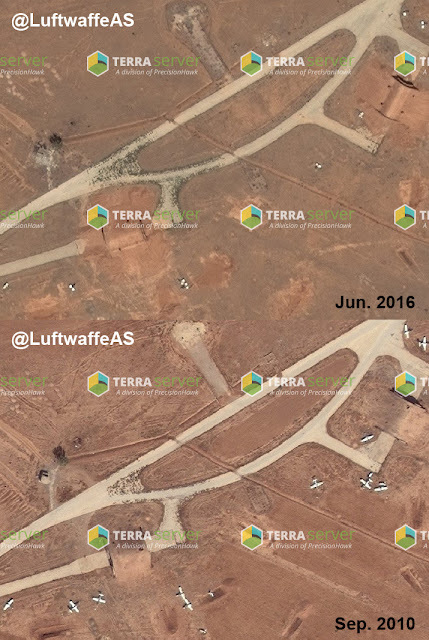 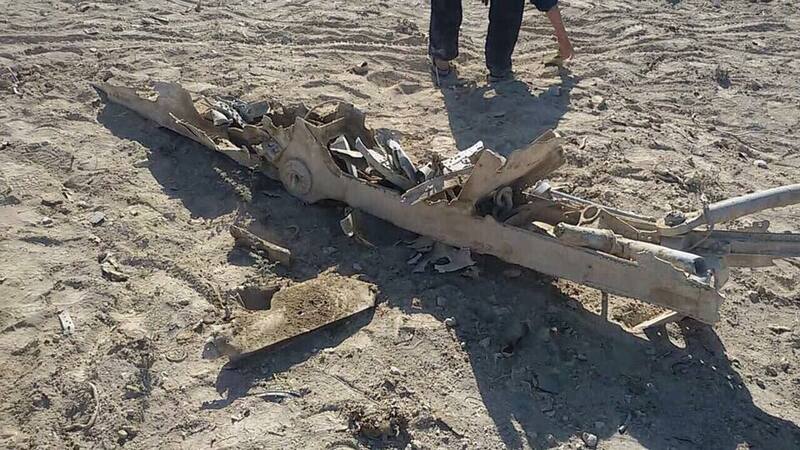 In addition to form obstacles all along the runways, those MiG-15/17s are scattered here and there as well. 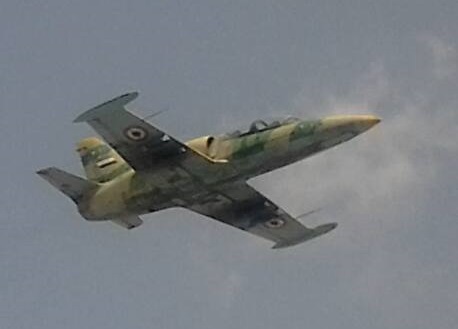 A phenomenon really surprised me and then I linked it to another view I observed in Abu DhHoor AB is what is valuable in the wings of decommissioned L-29s to make JAI strip them from the airframes as can be seen above!! 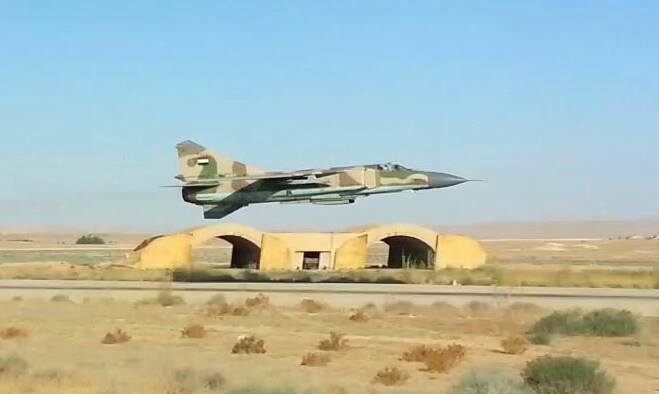 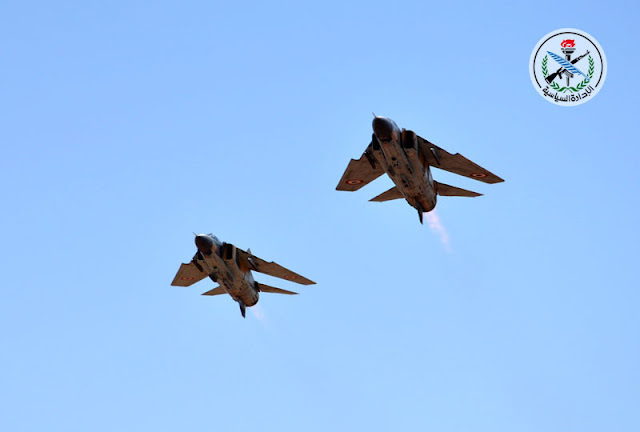 The same happened in Abu DhHoor AB, the MiG-23s can be clearly seen (below) stripped from their wings (those airframes in the eastern part of boneyard). 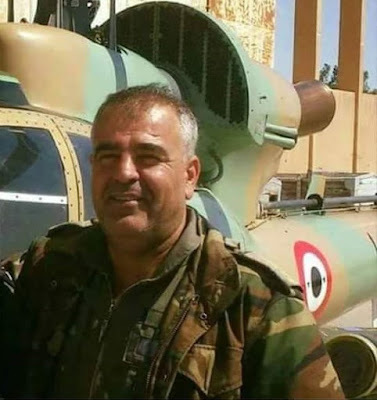 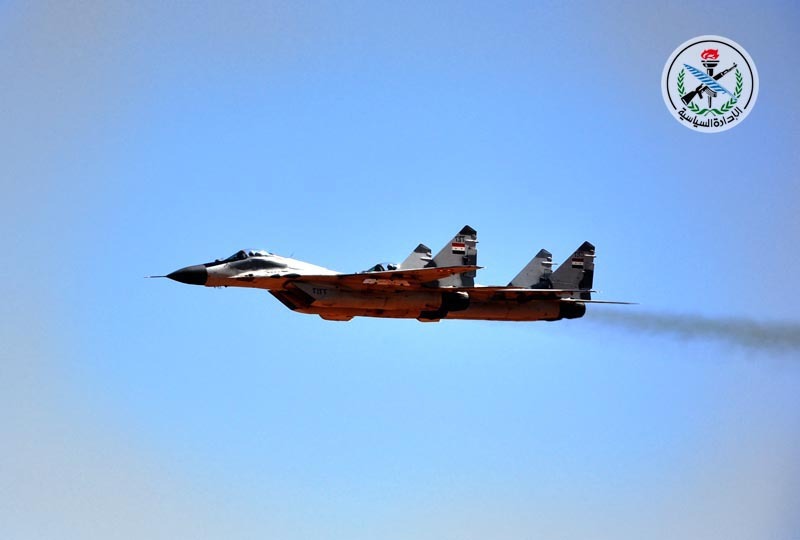 It is reported yesterday 29th July by pro-regime sources that the pilot Major Mohammad Suleiman Ismail "الرائد محمد سليمان اسماعيل" whom was flying a MiG-23ML took off from Nasriyeh AB had died when his fighter hit the ground in Qalamoun mounts area. 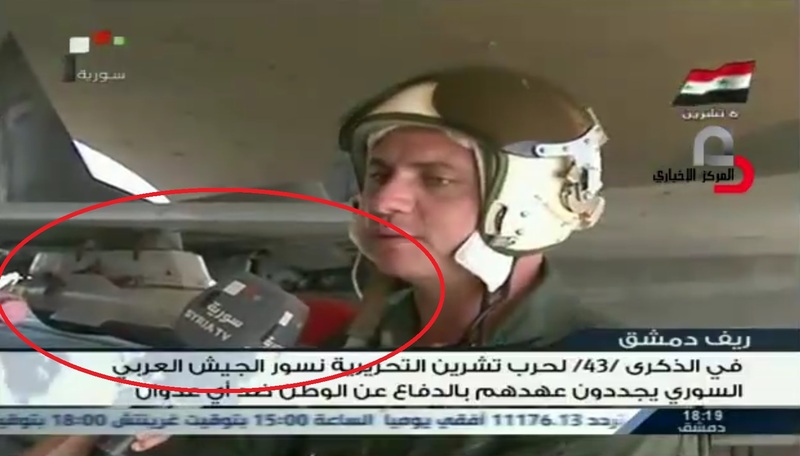 Despite claims of shooting down the aircraft by ISIS but the real reason is a phenomenon most of non experienced pilots suffers from which is called the "Spatial Disorientation" as the pilot in question was performing a night flight in order to get him ready for non-day-time sorties. 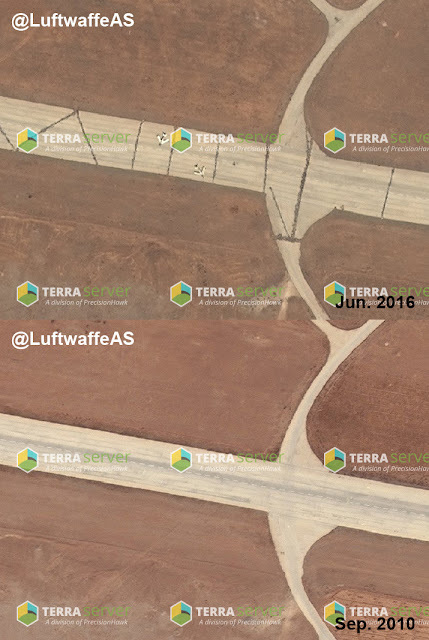 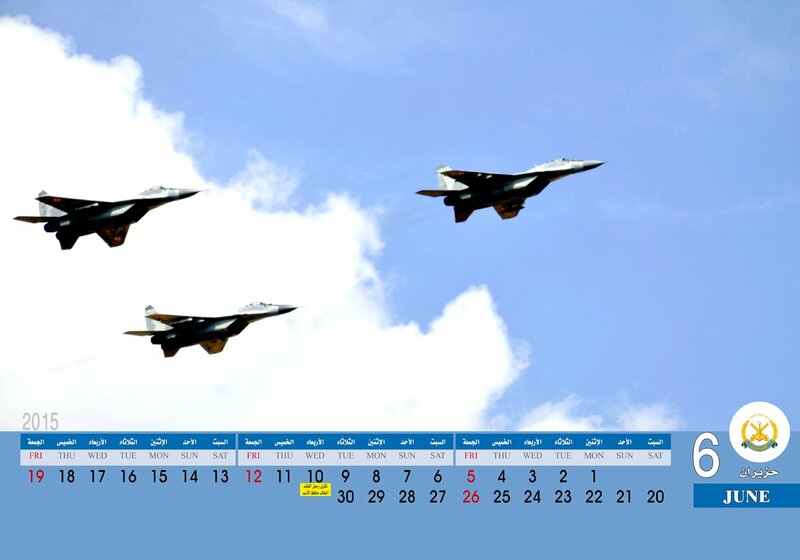 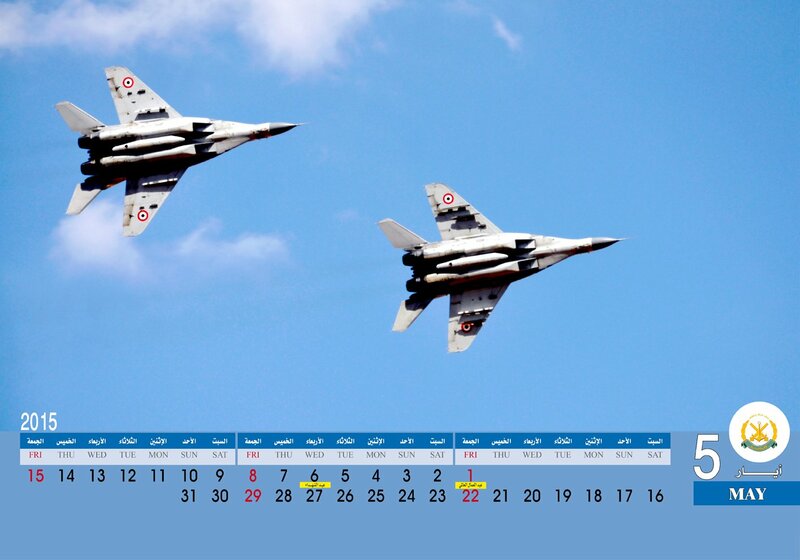 It is good to mention here that since 2015 Nasriyeh AB is housing only MiG-23ML after detaching all MiG-23BNs to Dmeir AB and Seen AB. 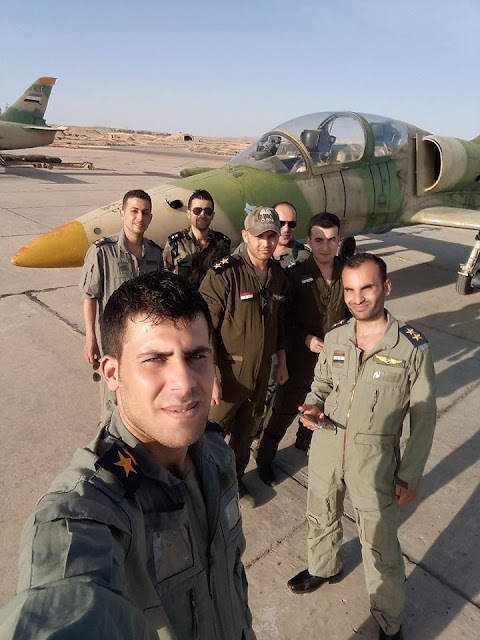 Last night, a SyAAF L-39ZO serialled 2099 operating from T4 AB and piloted by Col. Salman Suleiman "العقيد سلمان سليمان" and 1st Ltnt. 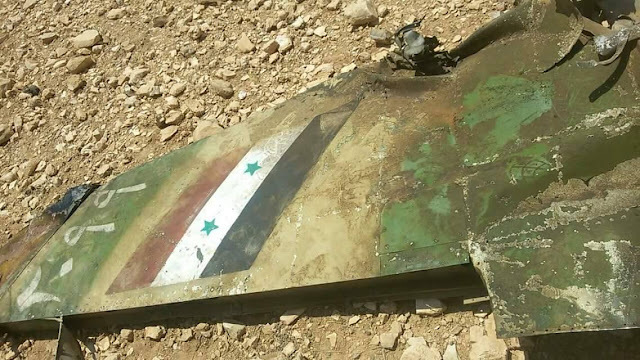 Ghadir Eid "الملازم أول غدير عيد" is shot down by AAA in eastern rural of Hama governorate resulting in the death of both pilots. 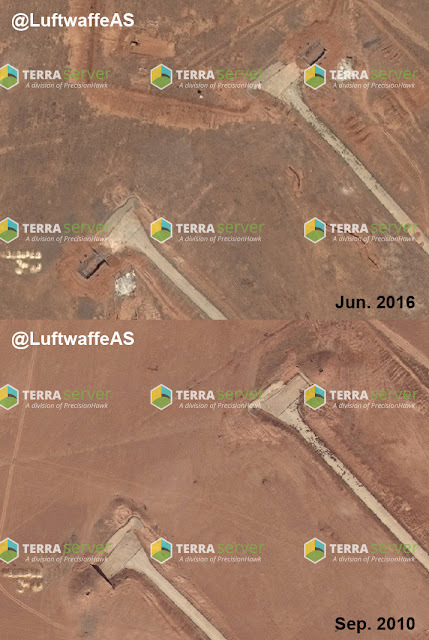 Sfireh Defense Works Airbase on Fire! 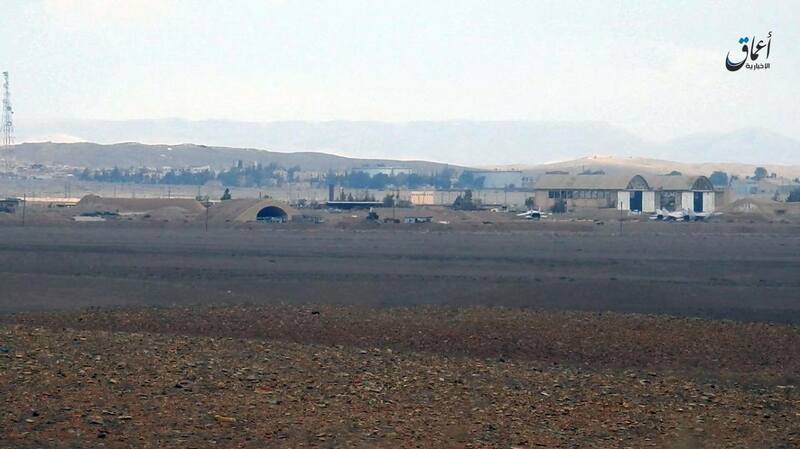 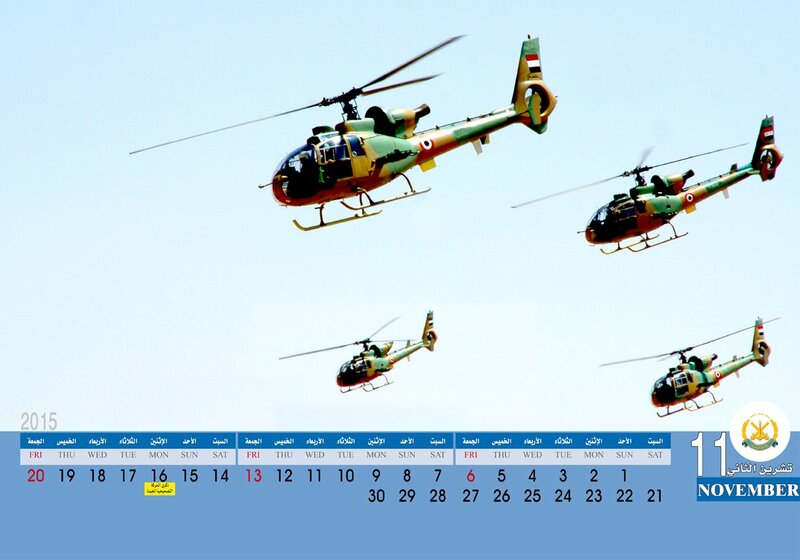 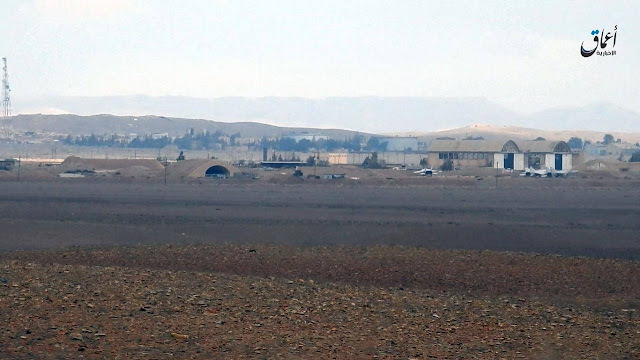 So far, it's not known the extent of damage to the facilities in Defense Works in Sfireh due to the huge explosions took place yesterday midnight; but it is good to mention that tarmac of helicopter next to plants recently used to house at least 2~3 Mi-8/17 in addition to Mi-25s with serials 2800, 2841 and 2856. 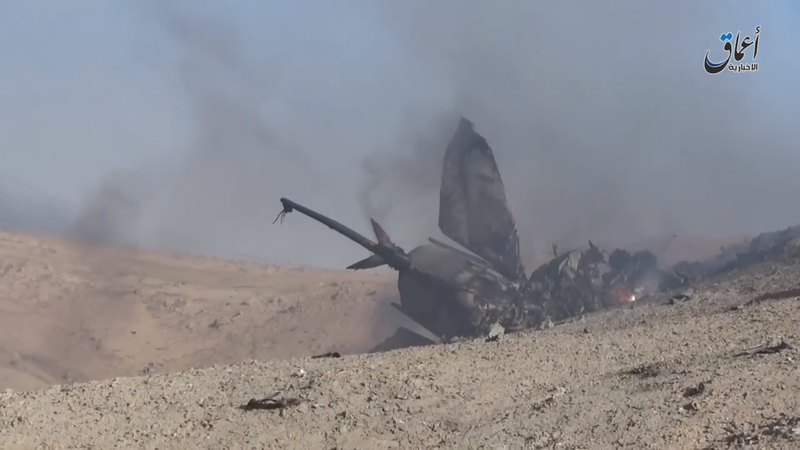 Some sources refers the reason behind this incident to the failure of taking off of one helicopter which was over heavy exploded on tarmac and resulted of burning all the other aircraft there. 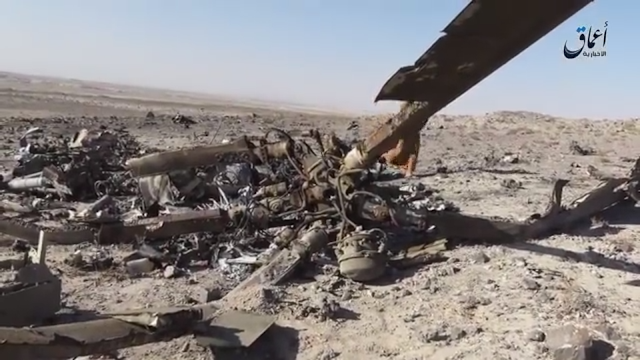 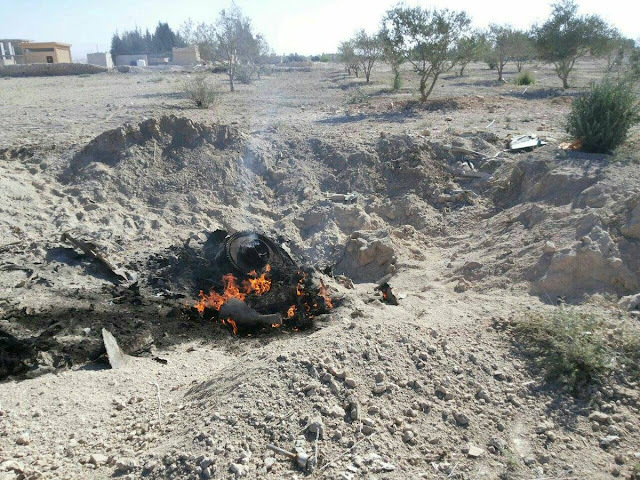 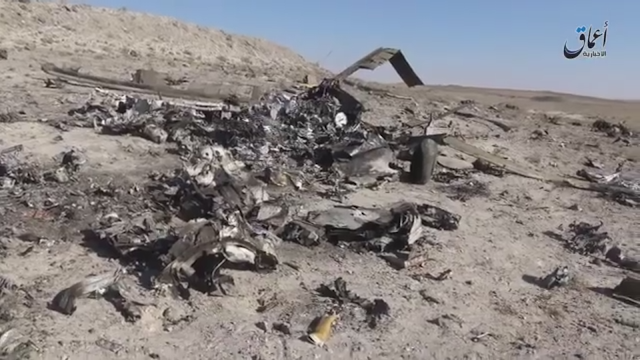 Two days back, a VIDEO was published showing the wreckage of a SyAAF helicopter said to be shot down on 14th July 2016 near Al-Baytariyeh town which is located in the eastern rural of Damascus. 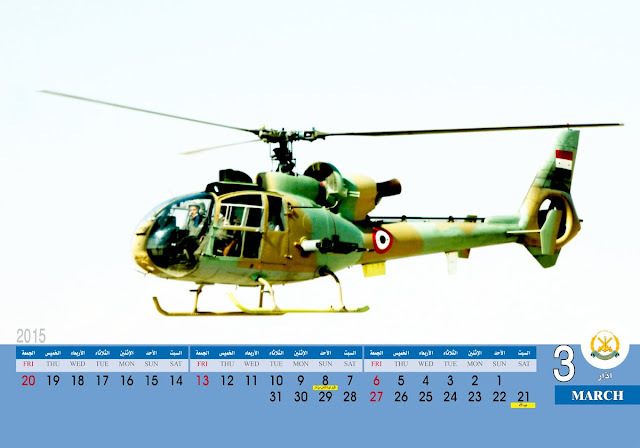 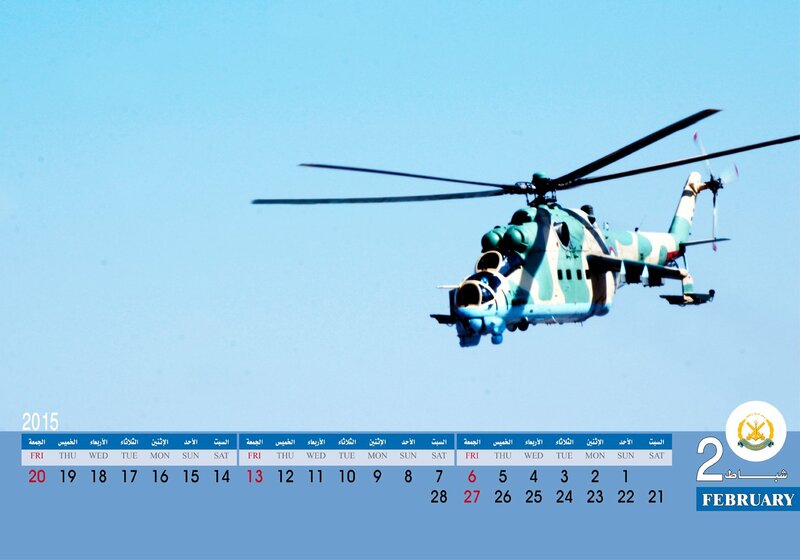 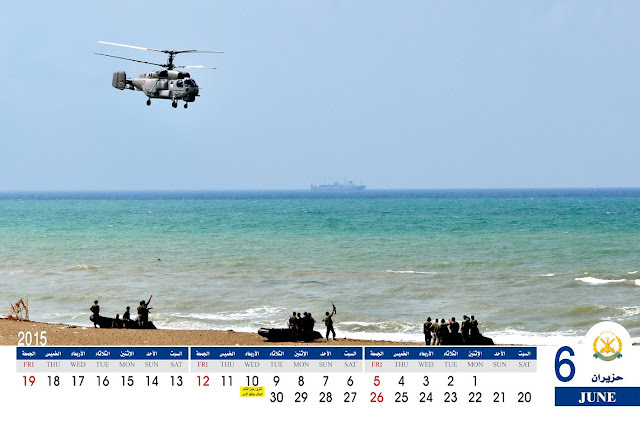 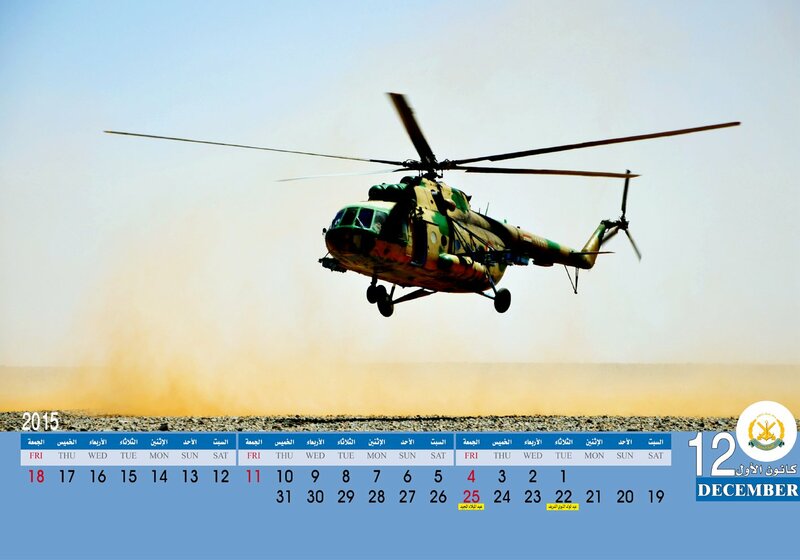 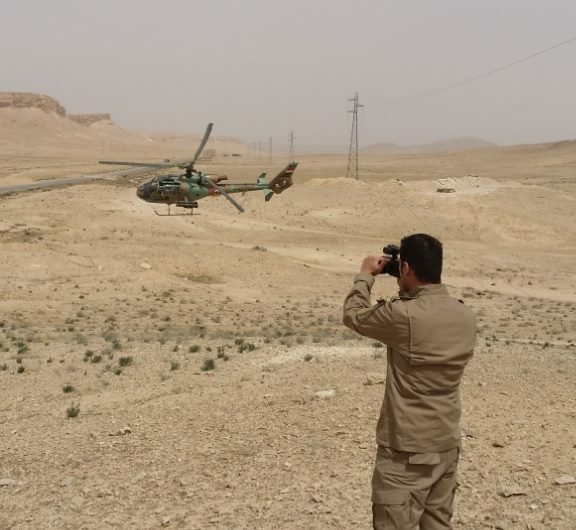 I cannot tell this is a newly shot down helicopter at the above mentioned date because first of all it is a Mi-25 helicopter, so it might be that one shot down on 1st July 2016 and just recently some public discovered the crash site. 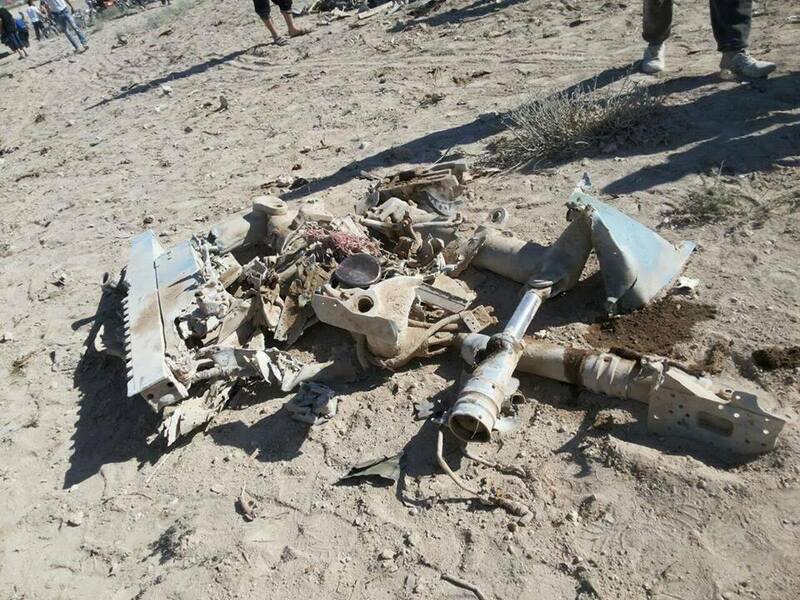 Secondly, no footage was published for the interception nor for fighters inspecting the wreckage taking into account that a MANPAD hit will result in bringing down an aircraft no further than 5km from the launch site, so finding and covering the crash site is a piece of cake after all. 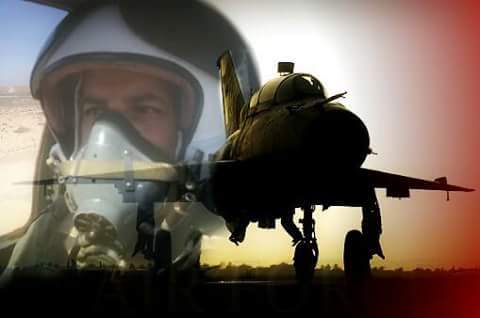 Last, I didn't find any pro-regime page/individual talking or mentioning a "martyr" pilot/crew within the last few days but only that pilot of the MiG-21 crashed few days back in Deir EzZour. 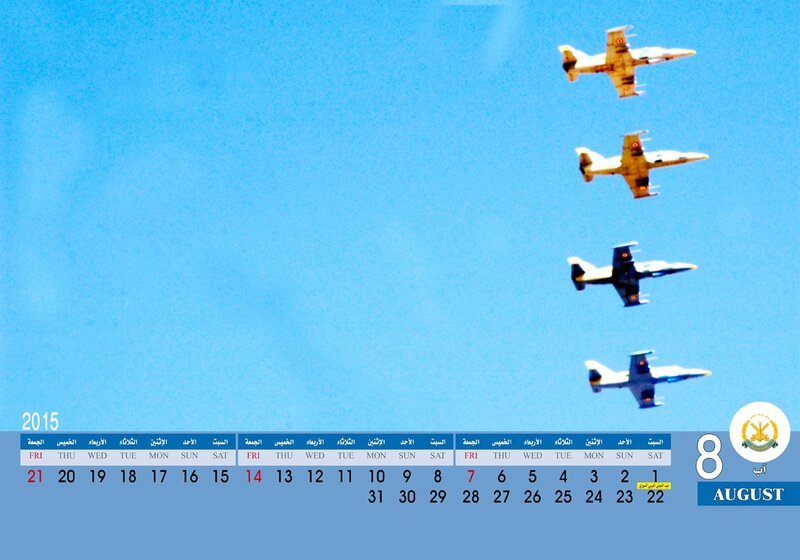 Update: Thanks for heads up from Gerard & Milos (ACIG). 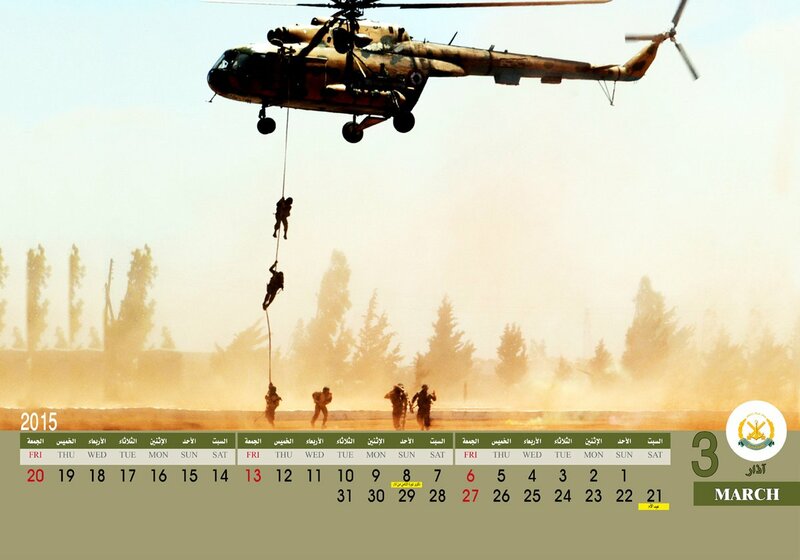 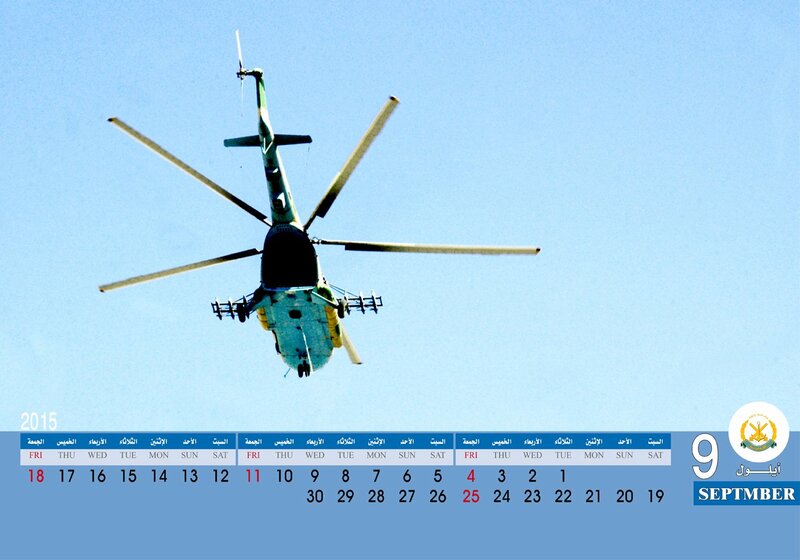 The rotar blades belong for sure for a Mi-8/17. Then, I'm not sure of the possibility of mounting such blades to Mi-25 under any circumstances, but providing the boom belongs with no doubts to a Mi-25 this puts us in front of a possibility that the crashed helicopter is truly a Mi-8/17 was transferring components of Mi-25 -boom among them- from an airbase to another. 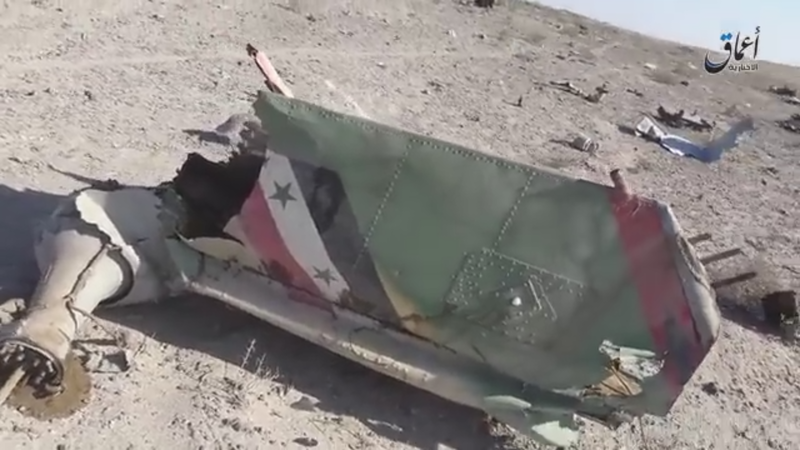 Talking about a Hind needs maintenance and replacement of specific parts, this reminds me of the incident of intercepting a SyAAF helicopter by JAI SA-8 (Osa) over Eastern Ghouta on 27th June 2016 which forced the hit Mi-25 -as confirmed by my source- to perform an emergency landing at an airport -should be Damascus IAP. Today, a SyAAF MiG-21 could be operating from either Deir EzZour AB or even from Qamishli airport is crashed near Deir EzZour city resulting on the death of pilot Col. Maher Kash'oor "العقيد ماهر جابر قشعور" . 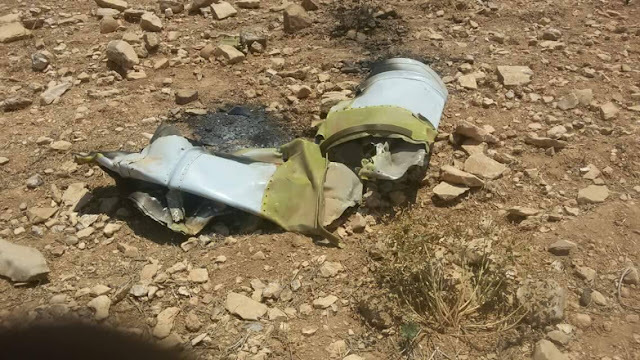 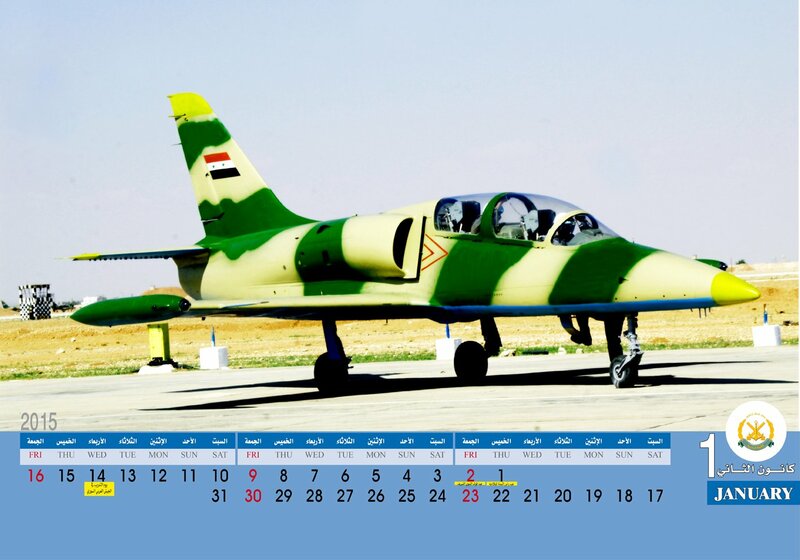 It is not confirmed as well whether the jet has crashed due to a technical failure -as know, Soviet jets becomes less efficient in hot weather especially that area is witnessing 45+ degrees temperature these days- or shot down by ISIS as claimed by their media. Footage of crash site can be seen in this VIDEO. 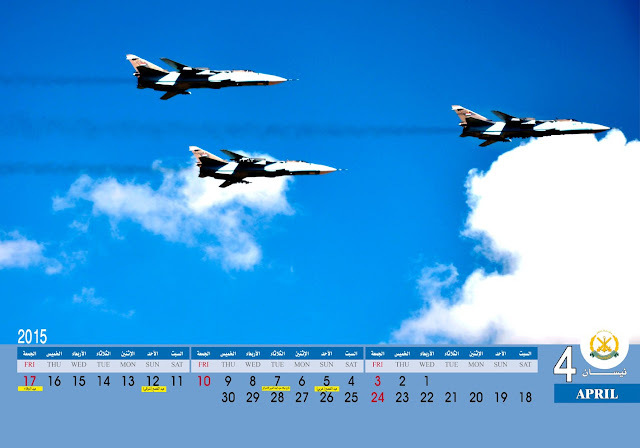 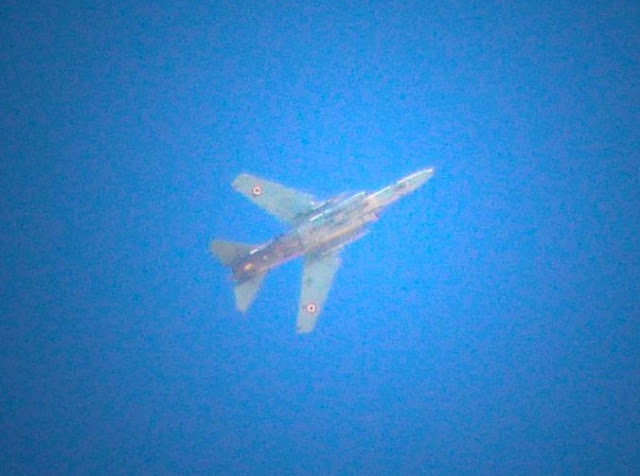 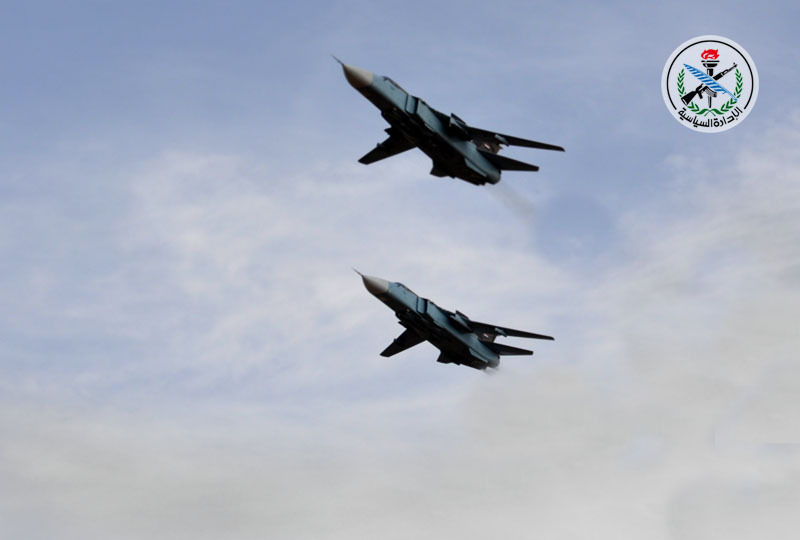 It's simply incredible how SyAAF is bleeding units and pilots! 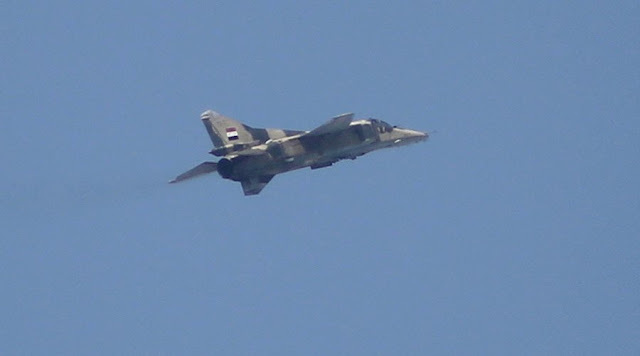 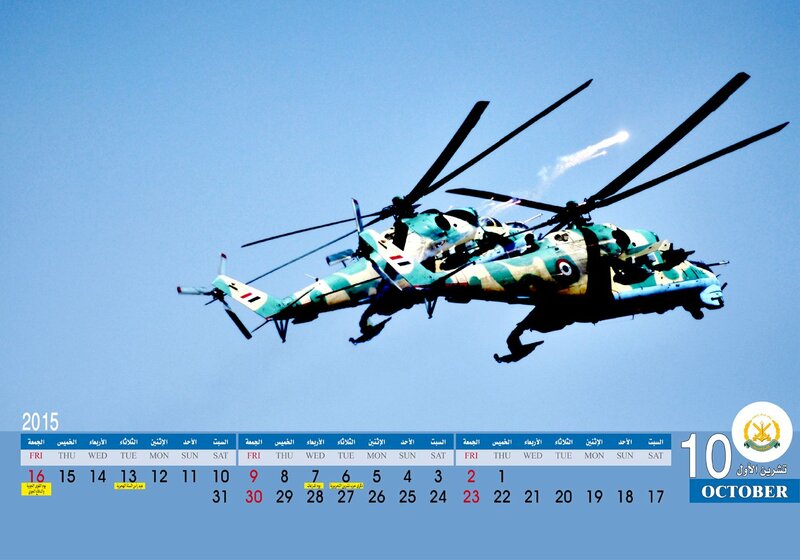 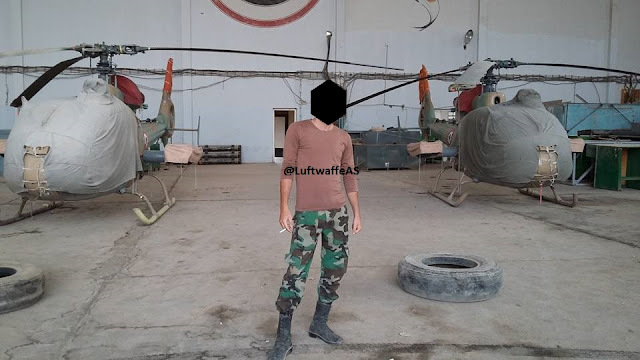 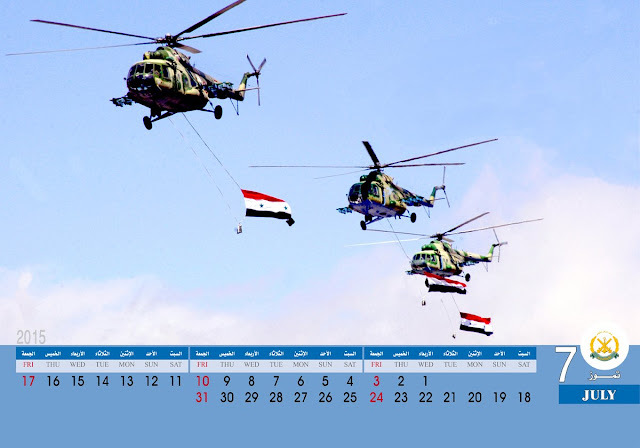 Today and just few hours after the crash of Su-22M-3 in Qalamoon mounts, a SyAAF Mi-25 operating from Blai AB and piloted by General Muhammad Badr Mahmoud "اللواء محمد بدر محمود" and Captain Zein Nayef Khalloof "النقيب زين نايف خلوف" has been shot down by opposition MANPAD in Jurud Al-Qalamoun resulting in the death of both pilots. 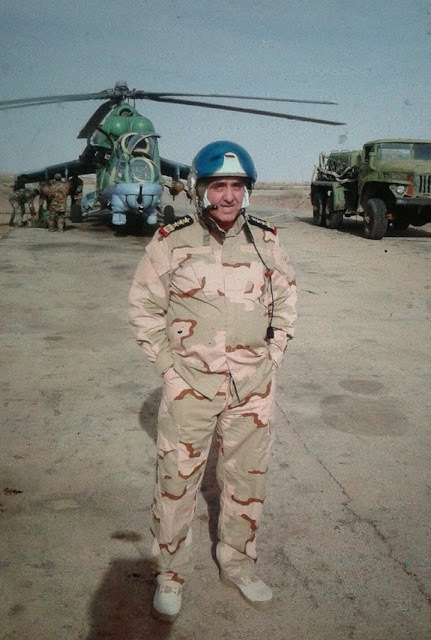 Apparently, a third crew (technician) Col. Adnan Munir Al-Salem was onboard has died as well. 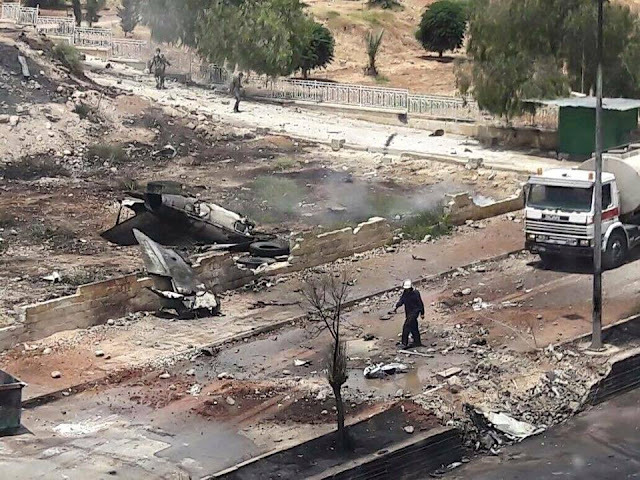 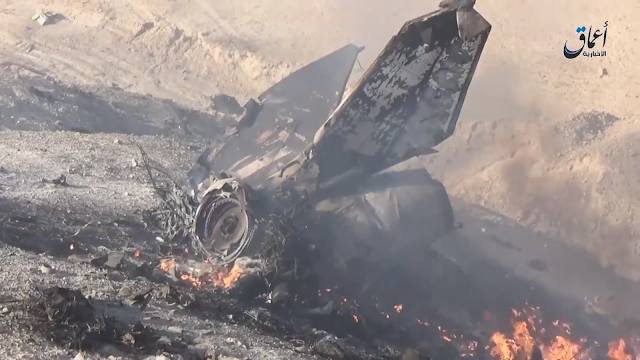 This morning, a SyAAF Su-22M-3 operating from Dmeir AB crashed near Jairood town in Qalamoon mounts, the footage can be seen HERE. Jaish Al-Islam interviewed in this VIDEO the captive pilot Major Nawras Hasan "الرائد نورس حسن" in which neither JAI nor the pilot mentioned whether the jet was shot down or fell due a technical failure.